Effective and easy method to stretch the spine plus apply specific traction to the back. Light-weight at just 23 pounds for convenient transportability to use at home or work. When assembled, it is 72″ long, 25″ wide and 11″ high. 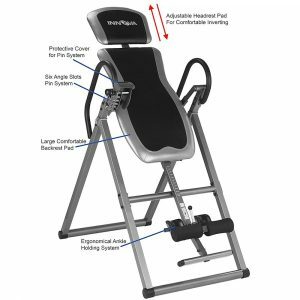 Holds up to 250 pounds, up to a 6′ 5″ person and targets therapy to the lower 3 lumbar segments, but many use the spinal decompression machine it to traction the upper and lower back. Simple height adjusting in order to support various users. 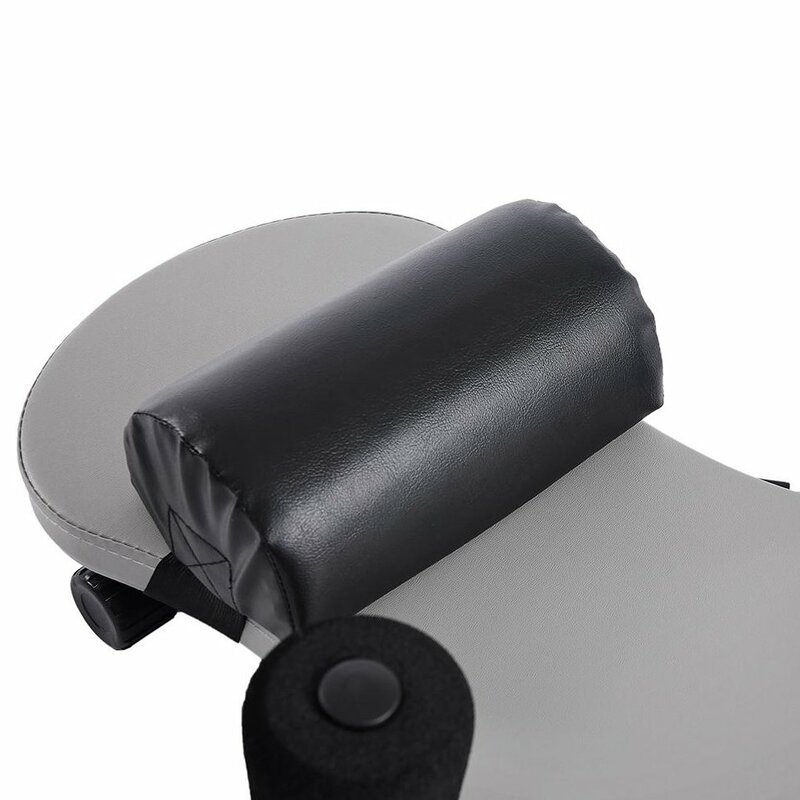 This back traction bench is supportive, yet comfortable using foam padding, lined with resilient sewn vinyl fabric that is simple to clean. Shaped foam cushioned ankle as well as upper extremity supports maintain the entire body in the correct placement. Adjustable foot rest, back rest, as well as upper leg support in order to cater to various individuals. Heavy steel structure using non-slip rubberized feet to safeguard floor surfaces. All this makes spinal decompression at home affordable and easy to use. Previously, individuals enduring lower back disc as well as various other issues just weren’t offered many choices apart from injections, physical rehabilitation or even intrusive back surgery. There have been very few solutions regarding conventional care which demonstrated good, long lasting outcomes, up to now. The latest technology has created the Spinal decompression Machine as a non-surgical solution in order to efficiently deal with lower back pain. Spinal Decompression at home is a traction centered method and among the leading long-term therapy choices with regard to dealing with back problems. 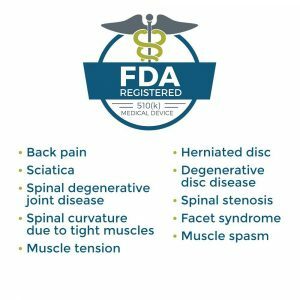 Frequently, the discomfort inside the lower back is a result of a protruding, bulging or herniated disorder of one or more of your discs, which serve as a kind of shock absorber or perhaps a type of cushioning between the spinal bones. Whenever your discs bulge, herniate, or even just break down through the degenerative process, the disc may come in contact – even to the point of pinching a vulnerable nerve, the effect of which is often quite painful. As time passes, your body is afflicted with the damage associated with strain of every day living, along with the general negative effects of gravitational pressure. Spinal decompression at home enables you to generate a beneficial, negative force inside your disc. Decompression is usually the reaction to appropriate placement regarding gravity as well as traction of the back. 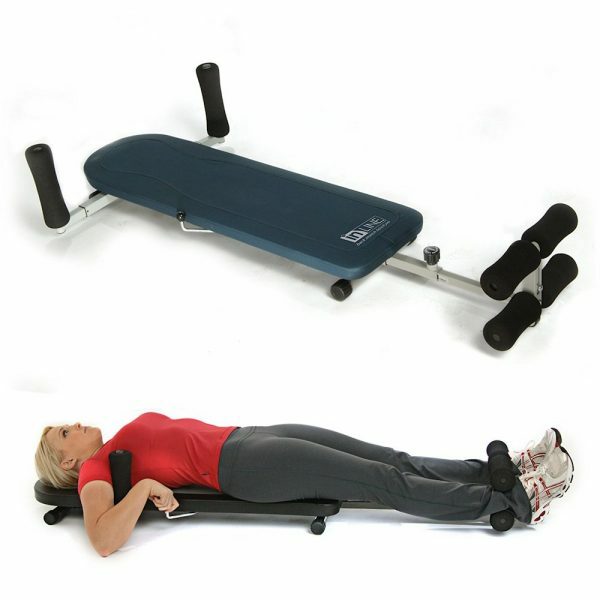 The back traction bench uses technology employed mainly to deal with disc injury within the lower back. This procedure choice is safe and makes use of a specially designed machine in order to apply a distraction or traction force to spinal tissues with an exact as well as progressive method that is under your complete control and to your specific tolerance level. The continuous traction force can be balanced out through periods of partial unwinding or release of traction. This particular method involving spinal decompression at home is achieved with the machine by releasing the ankle adjustment to achieve an unloading. 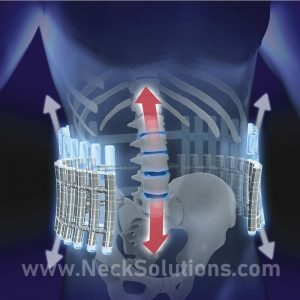 The gradual and gentle separation of the spinal vertebrae is used for developing a vacuum type effect within the discs. This kind of vacuum effect is referred to as negative intradiscal pressure, and the back traction bench may help. This negative or reverse pressure created in the disc may possibly cause retraction of the bulging, herniated or protruding disc directly into the inner part of the disc, where it belongs, and away from the sensitive nerves. It takes place on a very small level each use, however, cumulatively – over 4 to 6 weeks, the outcomes can be impressive. This series involving decompression along with partial relaxing of the force, spanning a number of uses, stimulates diffusion or influx of fluids, much needed oxygen, as well as nutrients coming from the exterior of the discs to the inside of the discs. These kinds of nutrients encourage the damaged and degenerated fibers of the disc to start to repair. 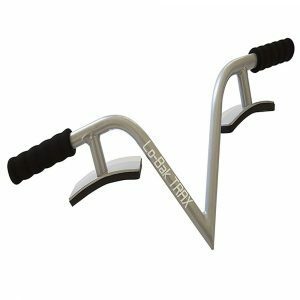 With regard to the lower back, the individual is situated in a relaxed manner on the back over the Spinal Decompression Machine, that is comfortably and well cushioned. A great many individuals love the procedure, because it is typically very comfortable and relaxing. 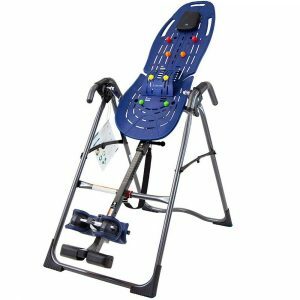 Regardless of whether you or even a cherished one is suffering as a result of injuries at work, a vehicle accident, or perhaps are suffering for many years, using the spinal decompression machine at home might help. 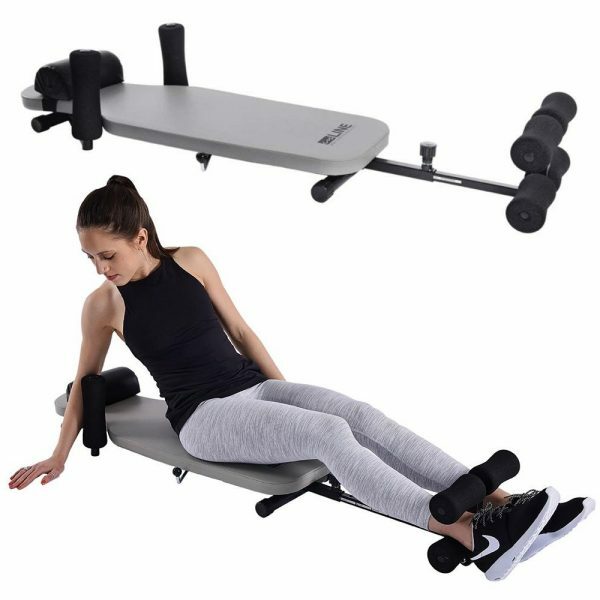 The gentle, yet effective back traction bench is intended to assist you in getting your daily life back as well as begin improving the quality of your life. Disc problems are actually the most significant factors behind back pain. The discs are susceptible to deterioration from injuries as they’re compressed as well as twisted as a result of day-to-day actions. When the disc degenerates, the soft, inner part called the nucleus will lose it’s water content, decreasing disc height as well as developing the potential for facet syndrome of the joints and also narrowing of the opening that the nerves exit called foraminal stenosis. Additionally, disc deterioration will cause the flexible outside layer called the annulus to to become fragile and prone to breaks as well as tears that can result in disc herniations. Protruding or herniated discs frequently squeeze the nerves, triggering serious pain along with radiculopathy – radiating pain, sometimes called sciatica. Affected intervertebral discs rarely recover simply because they continue being subjected to continuous strain, even when an individual is resting. Traction can be the best setting to improve disc pathology and the method should be to decompress or decrease the pressure within the disc. 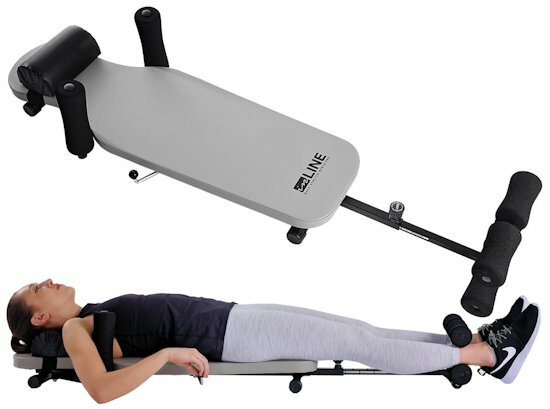 The aim of the back traction bench is decreasing intradiscal force while increasing the process of osmotic diffusion, which is an influx associated with vital fluids as well as nutrients through the cartilage – on the top and bottom of the disc called endplates, directly into the disc and advancing the body’s natural healing capabilities. In addition, decrease of intradiscal stress can help pull the soft nucleus pulposus that becomes herniated, back into the middle, thus alleviating tension upon a squeezed nerve, relieving the actual situation as well as the pain. Additionally, using spinal decompression at home can also help to stretch stiff back muscles. 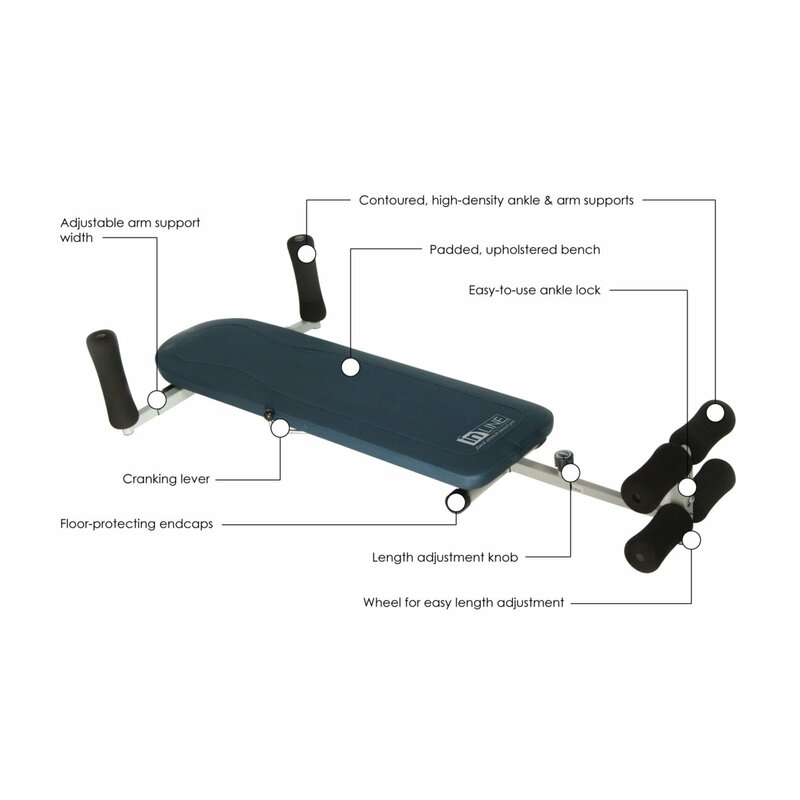 With this machine, you control the level of stretching and amount of traction in a familiar and comfortable setting.